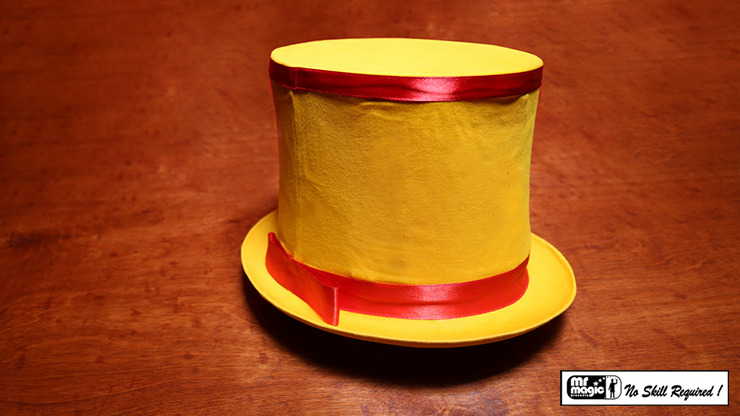 The top hat is the iconic symbol of the magician, and this one is of decent quality at an outstanding price. Many of you will use this more as a prop than an actual fashion statement (we hope). And we are morally obligated to prohibit you from wearing the hat in your promotional material. But, it's an attractive top hat that does that "thing" where it collapses and snaps into position. Made with special anti-creasing cloth, it ensures there are no wrinkles! Includes a special auto-locking mechanism to ensure quick and easy expansion. Perfect for those magicians doing the body load version.